Elbows, Gomiti or Chifferi in Italian, is named for its twisted tubular shape that can vary in size and be either smooth or ridged. Pasta Elbows originated from Northern and Central Italy, where they are traditionally used in soups. 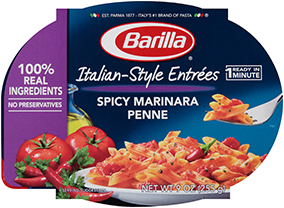 Barilla® Elbow pasta is made with non-GMO ingredients. For more information, please read our position.